Enter your email address below to receive a notification when Wicksly starts accepting new sign-ups! Enter your email address below to receive a notification when Wicksly is accepting new sign-ups again. We ship around the 10th of the month. All orders must be placed by the last day of the prior month. Your first box should arrive within 5 business days. We want to thank you for your support of our small business. We are sorry you were disappointed in the size of our candle. We do explicitly say on our website that it is 5oz. The burn time is also stated at 40 hours. 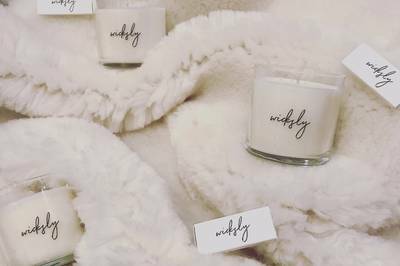 The cost is definitely a little more than larger name brand candles as we use high quality, soy wax that is free from oil by products as well as high quality fragrances. We truly think this makes the candle extremely fairly priced. Oh my! I received the Cracklin' Burch for November. It is absolutely delish. I wish you could smell it now. It's perfection for a winter candle. The presentation of the box is beautiful. It even comes with matches that light perfectly every time. Good job Wicksly! The candle is so richly scented and smells amazing! I can't wait to burn it! I look forward to my next one! This is a gift subscription, and I have heard nothing but great reviews about each candle as they are received and lit. High quality - well worth it! I love the high quality candle that I get every month. No fake smelling or tacky scents - just pure natural smelling fun delivered to my house each month! Great way to treat yourself/mom/friend/etc. I was hesitant to order a candle online without smelling it in person. It is safe to say that my concerns were completely unfounded. My first candle was the “Date Night” scent, and it smelled incredible! The presentation and delivery of the candle was super cute. Wicksly definitely hits the mark, especially for gifts. I would happily recommend to any and all candle lovers. I always like to have a few candles that I light every evening around the house. 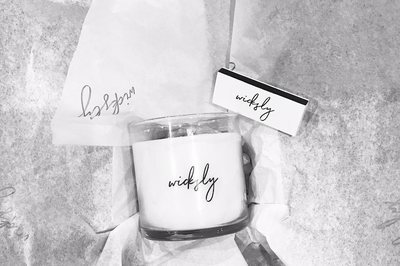 The Wicksly candle is one that I light every night. Can’t wait for the next one to arrive! I gave my mom a subscription to Wicksly for Mother’s Day and she absolutely loved the first month. The best part of Wicksly is that I had to sign up once for a 6 month subscription, and Wicksly does all of the hard work for me. I’ll probably give Wicksly as a gift more often. I'm so glad I subscribed--our first candle has lasted the whole month and I've lit it a bunch of different nights. The scent from last month was great so I have big hopes for this month. 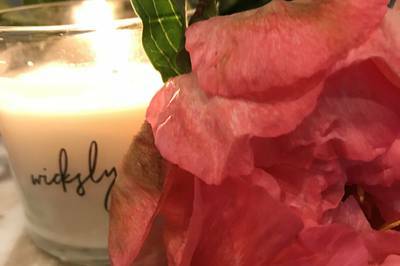 One thing I’ve noticed with soy and organic candles I’ve bought previously is that the scent gets weaker as I burn more of it. This was initially a worry of mine when I signed up for my 6-month month to month subscription with Wicksly. But we finished the first candle last night and the scent was as strong then as it was when I first lit it. Excited for next month! Wicksly’s candle for the first month had the perfect burn time and lasted me just about a month. 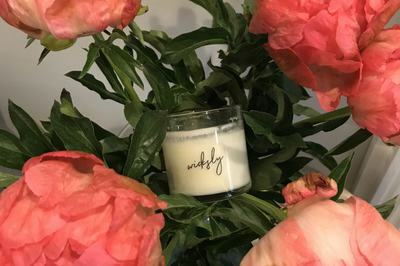 I typically light my candles when my boyfriend and I are at home in the evenings and my first Wicksly candle lasted for just about the full month. Excited for June’s candle!